EIGHT NOVELS have been shortlisted for the 2009 International IMPAC Dublin Literary Award worth 100,000 euros, the world’s richest prize for a single work of fiction published in or translated into English. And Junot Díaz’s The Brief Wondrous Life of Oscar Wao (Riverhead, 2008), winner of a Pulitzer Prize and a National Book Critics Circle Award, is on the shortlist. Díaz is one of four Americans on the shortlist; the others are David Leavitt, Travis Holland and Michael Thomas. There are two translated fiction: Jean Echenoz’s Ravel (French) and Roy Jacobsen’s The Burnt-Out Town of Miracles (Norwegian). 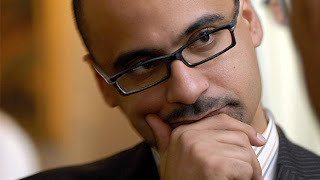 There are three first-time novelists: Junot Díaz, Michael Thomas and Travis Holland.